They sure sell a lot of iPhones. And they sure make a ton of money. Apple released the annual pay of its top executives on Wednesday. CEO Tim Cook brought home $10.3 million in 2015, and he was far from Apple's highest paid exec. Cook's base salary was $2 million, plus $8 million in cash incentives. The package was topped off with $280,000 in various payments, including $53,846 in vacation "cash out" payments and $15,900 in 401(k) contributions. For Cook, it was a pretty good year, and an increase from the $9.2 million he earned in 2014. But other Apple executives fared far better. CFO Luca Maestri, retail guru Angela Ahrendts, general counsel Bruce Sewell and product chiefs Dan Riccio and Eddy Cue each earned more than $25 million. Cook's deputies earned salaries of $1 million each but were also given identical stock awards of $20 million and cash incentive payments of $4 million. All earned more than in 2014, except for Ahrendts. That year, the former Burberry (BBRYF) executive took home $73.4 million. She was granted a cool $70 million in stock award alone. For Cook, though, the real money is in Apple stock. In 2015, tens of millions of dollars of his previously announced stock awards vested. The shares were part of his welcome package when he took over as CEO in 2011. Cook still has more than $500 million worth of stock awards from that package that have not yet vested. 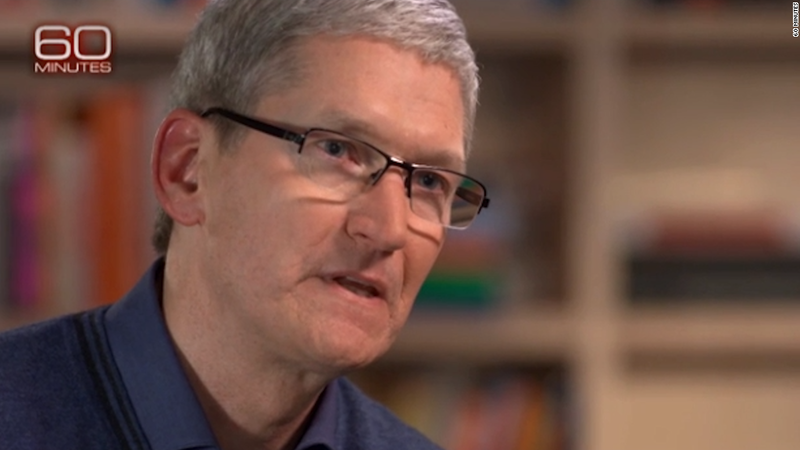 Cook's pay package was valued at $378 million when he became Apple's CEO. But the value of the package has risen along with Apple's share price. Apple (AAPL) shares closed at $100.70 on Wednesday. The stock has shed nearly 10% over the past three months.